As a daughter of one of the deceased cofounders - Karen Presswood - I am raising money to help the organization reach their goal for the 10 year anniversary of the organization. Based on my family history, on paper my chances of developing cancer are high, that said raising funds and awareness around this specific type of cancer is extremely important to me. For my sake, and to honor my Mom, I hope there is a day that the funds her legacy raises are able to contribute to research that allows for our loved ones to not leave us too soon. Dian “CJ” Corneliussen, the only living founder of METAvivor is dedicating this year’s fundraising to our three deceased founders of METAvivor: Karen Presswood, Rhonda Rhodes, and Avis Halberstadt. Currently, very little funding goes to metastatic research and the number of women and men dying from breast has remained unchanged for the past 30 years. 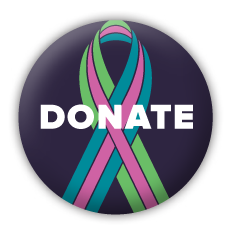 Metavivor's mission is to change both the amount of money dedicated for research and the number of women and men dying from this disease. Any donation amount is greatly appreciated and 100% of it will go toward research. In the most trying of times, the founders gave their energy to making a difference. They started METAvivor to raise money for research, provide support for patients and bring awareness to stage 4 metastatic breast cancer. At that time, there was very little funding, support or awareness for the devastating disease. CJ said, "At an early Board Meeting around my dining room table in 2009, we’d discussed setting our first grant goal. $25,000 was on the table when Rhonda suddenly stood up and threw out her arms saying, 'Reach for the stars ... $50,000! ' At that point we had about $14,000 in the bank. We exceeded that goal and the first grant awarded was $55,000." Past and present supporters are grateful for our founders and the countless hours they spent to lay the foundation for what METAvivor is today.